LondonJazz News: You are coming to Posk this Saturday to celebrate your friend Duncan Lamont's birthday. Tell us about him. Norma Winstone: He’s great! I am very fond of Duncan. I do like his songs, and also he is a great character, great personality… he’s a legend. I remember when he played in Kenny Wheeler’s big-band…he always had his own extraordinary kind of way of improvising, which was very special. I love his playing. He is one of the great British jazz musicians and composers, he’s written a lot of things apart from songs, there’s a suite “Young Person’s Guide to The Jazz Orchestra” based on Benjamin Britten’s “Young Person’s Guide to the Orchestra” , music for theatre, for television… He is a very special talent. LJN: Can you tell us about this Saturday's programme? NW: Well, he has chosen the songs he would like me to sing. There are about 5 or 6 songs, so it’s a nice little set. As I mentioned before I love his songs, have recorded Manhattan in the Rain, and I will definitely sing it on Saturday. There is that funny story… I went to his house one evening and he said “oh, sing something, sing one of my songs”, I really liked Manhattan in The Rain, so I said that I’d sing that. Duncan’s wife, Bridget, said “Oh no, not that; it’s like a vocal exercise”. The funny thing is, Duncan told me some time later that somebody rang him from a college in America and said “we love your songs Duncan, and there’s one that we use as a vocal exercise, it’s called Manhattan in The Rain! So maybe his wife was right in a way! It’s a great, slightly difficult song, you just have to have a good ear to pitch those intervals. So I suppose it could be looked on as a good vocal exercise. LJN: What makes a great jazz singer? NW: I think that to have your own sound, that’s the basic thing. I think the thing is to be recognizable…immediately! This of course applies not only to singing jazz. LJN: …and acquiring a flawless vocal technique? NW: Yes, because she had something else, because of the anguish and the torment that you could hear in her voice. I think people responded to that; they could identify with it, just like they respond to other outstanding voices, not necessarily from the world of jazz...like Amy Winehouse for example. People responded to that, because they can hear this kind of thing in her voice… And that’s something one cannot learn. LJN: You were awarded MBE in 2007. How did you react when you fund out? NW: Shocked! I was very, very surprised, I have no idea how it happened. And I don’t know if anybody knows how you get these things, somebody must have put my name forward, and there’s a voting process. They wrote to Colin Towns, who’s a marvellous arranger and a writer with whom I was working at that time, to say that I had been offered an MBE. For some reason they had not found my address! I was very happy, of course. I went to Buckingham Palace to collect it from Prince Charles. I took my sons, my husband and my father, who was 92 at that time, he died the following year. My father was very left wing, he never approved of The Royal Family, but of course he was very proud of me and he just liked the idea of going there with me. He proudly played the DVD to his neighbours…it was very funny, because he had always been so left wing. LJN: On Saturday you will perform in a Polish Club. You were in Poland on many occasions, when was the first time? NW: My first visit to Poland took place in 1970, I was supposed to perform with the Mike Westbrook band in Warsaw at the Jazz Jamboree Festival in The Culture Palace but I didn’t make the concert as I was taken ill and spent the night in hospital. It was funny, because Urszula Dudziak was apparently in the audience and was waiting to hear me. I didn’t know her then, but many years later she told me “ You came on the stage, I was really looking forward to your performance…and then you immediately ran off.” I explained to her what had happened. The band sat in at a club the next evening and everybody was so enthusiastic and warm, so pleased that we were there. It was great! I just remember being excited that that I was in the Eastern Bloc… We were paid in zlotys and we had to spend the money before we left. I didn’t know how to spend all these zlotys, as at that time there wasn’t much to buy unless you had dollars; the merchandise was separated so that the better stuff could be bought in dollars. The last time I was in Poland was in November 2015. A group of English musicians plus Dave Holland and Ralph Towner performed in a Kenny Wheeler tribute concert at The Cadogan Hall in London, then took the package to The Wroclaw Festival. LJN: Later you worked with Urszula Dudziak, are you still in touch with her? NW: I worked with Urszula in the late 80s in an a capella vocal group called Vocal Summit including Jay Clayton and Michelle Hendricks. That was so much fun but we all lived so far apart that it wasn’t easy to keep it going. We are however hoping to get together again later this year (possibly in November) to do a concert called Vocal Summit and Beyond, in London, which I think will be great! Tomasz Furmank produces the “Tomasz Furmanek invites…” series at Jazz Café POSK. 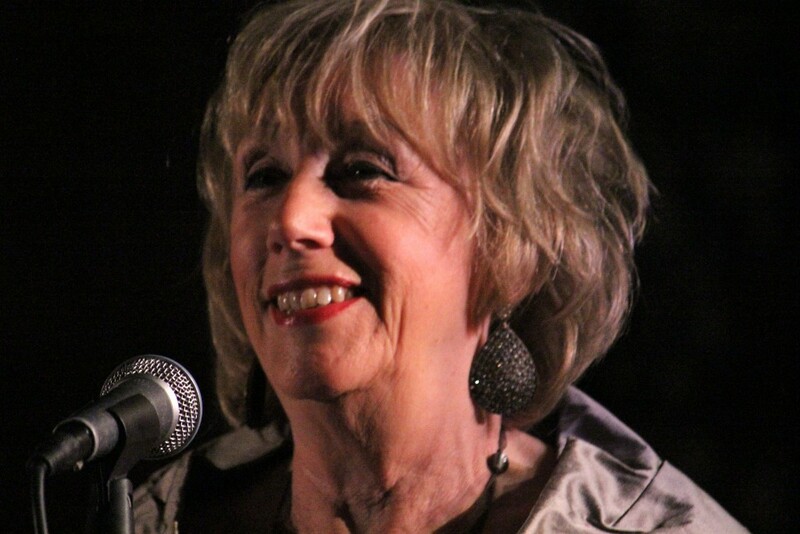 Norma Winstone will appear as a special guest of Duncan Lamont’s 85th Birthday Celebrations at Jazz Café POSK on Saturday 25th of June 2016. Music starts at 8.30pm.